All the youth groups connected with All Saints’ have been creating a pictorial story of the Nativity. These pictures are being used every Wednesday evening in December, at 5.30 pm, to help us think prayerfully about the coming of Jesus Christ on Christmas Day. Each youth group was given one part of the story and asked to create a picture to describe the events. A wonderful variety of images has been produced – photos of the pictures are shown below and can be seen in church. Many thanks to all the youngsters involved in this project. 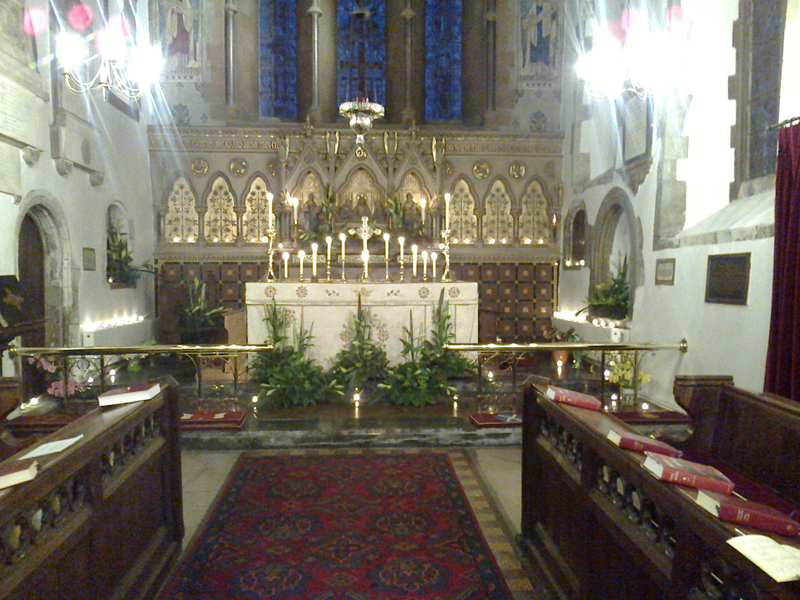 The Mayoral and Civic carol service was held on Tuesday 8th December at 7pm at All Saints’ Church. The Rev’d Brian McHenry is chaplain to the current Mayor of the London Borough of Bromley, Councillor Kim Botting, and the service combined the annual mayoral service with a civic carol service. The service also marked the 50th anniversary of the founding of the London Borough of Bromley. Representatives of local government, the emergency services, charities and local organisations had been invited and all are welcome to join us. The service was an opportunity to give thanks for their service to local residents as well as to celebrate the story of Christmas. Children from Blenheim Primary school sang at the service and the collection was given to the Mayor’s charities – the National Brain Appeal, which raises funds for The National Hospital for Neurology and Neurosurgery, and CONNECT, a south east London charity which supports people with Aphasia, a communication disability. Sadly we have decided to close the Messy Church group at All Saints’ with immediate effect. Our thanks go to all those who helped and attended Messy Church over the last year. Jane Franklin will be leading a Quiet Day at All Saints on Saturday 28th November from 10.00 am to 3.30 pm (coffee from 9.30 am). This will be an opportunity to spend time in quiet and contemplation on the meaning of Advent and Christmas before the headlong rush to Christmas sets in. There will be some input, times for quiet reflection and a fellowship lunch.Jane Franklin is a Spiritual Director, Listener and Retreat Leader. She comes from an Anglican tradition with Celtic and Ignatian leanings. We were pleased to welcome the Rt Rev’d James Langstaff, Bishop of Rochester to All Saints’ on Sunday 15th November to confirm thirteen candidates from five parishes. The photo shows the six candidates from All Saints’ who were confirmed and we warmly congratulate them on taking this important step on their faith journey. We held a very successful Auction of Promises on Saturday 3rd October raising over £1800. Promises included outings to National Trust properties, 3 course lunches, cakes and jams and the opportunity to ask the Curate to preach on a bible verse of your choice. Our auctioneer was the Rev’d Brian McHenry who dressed up for the part as can be see in the photo! Many thanks to all who contributed to this fun and successful event. 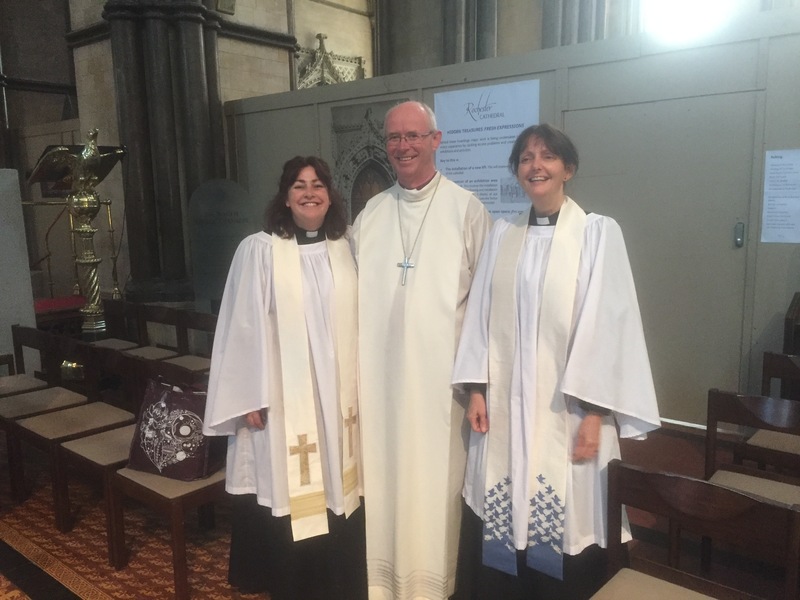 Many members of All Saints’ were delighted to be present in Rochester Cathedral for the ordination as priest of our curate the Rev’d Cathy Knight-Scott on Saturday 26th September. Cathy celebrated her first eucharist at the 9.30 service on the next day. Bromley is twinned with the town of Neuwied in Germany and here at All Saints’ we have forged links with Pastor Freyja Eberding and the congregation of the Evangelische Kirche Heddesdorf. 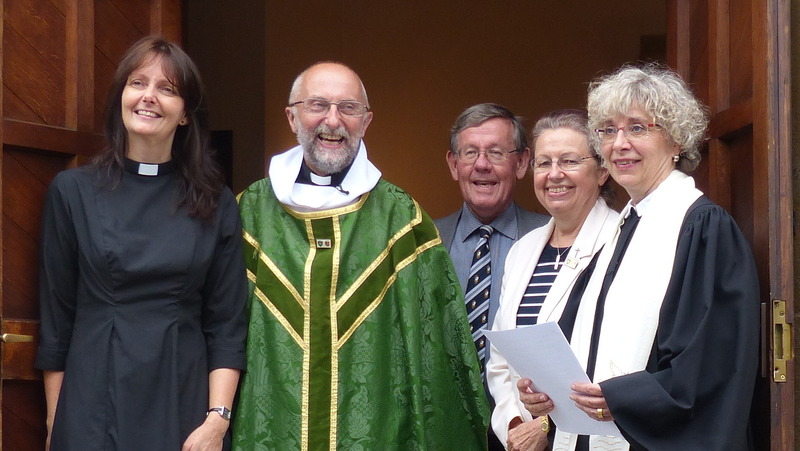 As part of this year’s twinning visit to Bromley we were pleased to welcome Pastor Freyja and members of her congregation to our 9.30 am Parish Eucharist service on Sunday 13th September. Pastor Freyja preached at the service which was followed by a lunch which gave us all a chance to get to know each other. Pastor Freyja’s sermon can be read here. All Saints’ church is always open to visitors when the Parish office is open and at other times when possible. On Saturday 12th September the church will be open to visitors between 10 am and 4 pm (hopefully 5 pm). Do feel free to come and look around or spend some time in prayer or quiet reflection. Tea and coffee will be available. The Rt Rev’d Brian Castle, Bishop of Tonbridge will be leading an Orpington Deanery Quiet Day at All Saints on Saturday 4th July from 10.00 am to 3.30 am – see poster above and via this link – QUIET DAY POSTER. We have had a busy time recently with the licensing of Abi Hiscock as Lay Minister at a service at Rochester Cathedral, a day many combined with a visit to the Open Garden at Bishopcourt opened as part of Christian Aid week fundraising. We have finally managed to repair the water damage to the South wall of the church, caused by the Christmas Eve storms in 2013. Do visit our Gallery 2015 page, to be found under the Gallery menu, to see photos of many of these events. Some pictures from the Holy Week services at All Saints’. 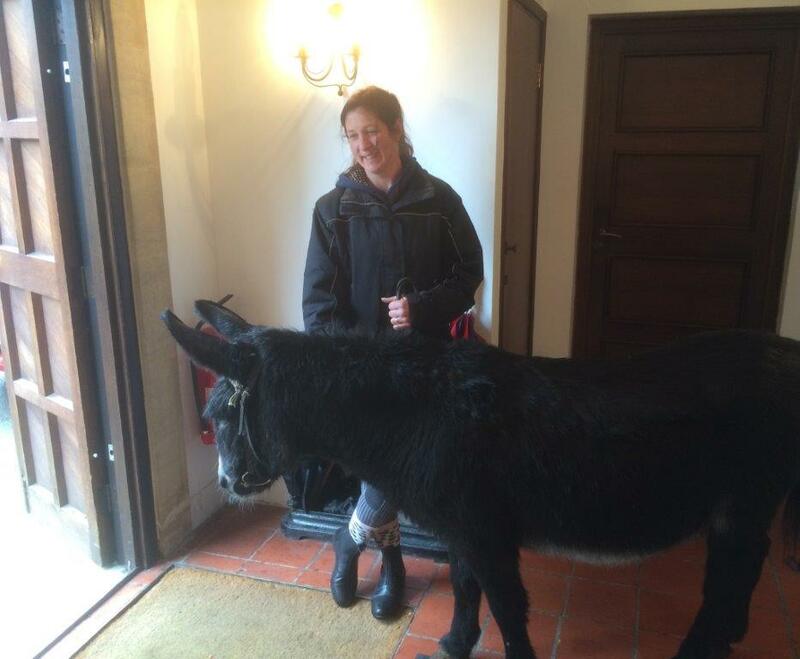 On Palm Sunday, Solomon joined the congregation for our procession – curtailed this year due to bad weather. Solomon is always a favourite with the youngsters from the uniformed organisations who joined us for this service. On Maundy Thursday the Vigil after our evening service was held in the Old Church where the St Michael’s Guild had made this beautiful garden. On Easter Sunday our services started in the dark at 6 am as we welcomed the Easter light at dawn, followed by breakfast in the Church Hall. 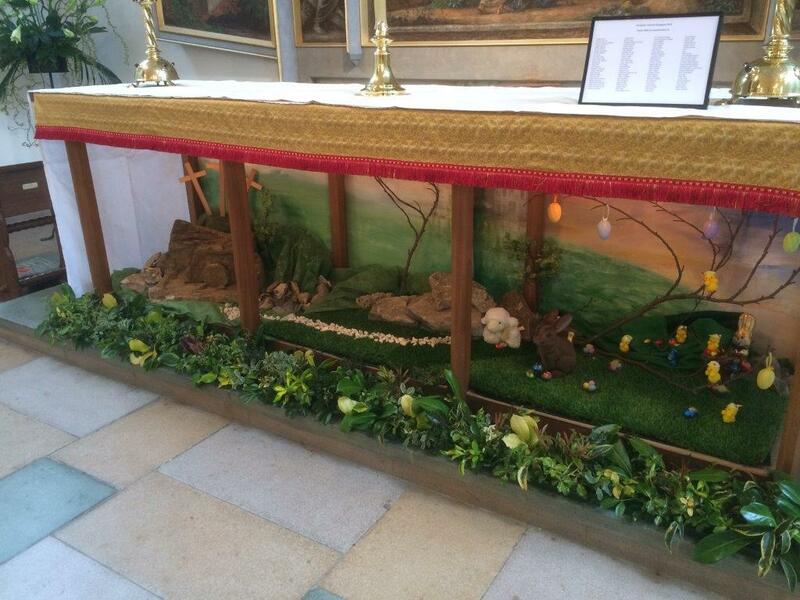 The Easter garden, above, was again created by the St Michael’s Guild, this time under the main altar. You will find the sermon from Sunday 11 January 2015 linked here sermon 11Jan15. This is the sermon preached by The Rev’d Cathy Knight-Scott today, on the Sunday marking the Baptism of Christ and following the dreadful events in Paris this week.